I have been trying to get my hand on Reese’s Dipped Pretzels for some time but they always seem to be out of stock. Lucky for me my Grandma had her senses and surprised me with a bag at the weekend. She’s a good egg. These came out around the same time as the Reese’s Popped Snack Mix and Reese’s Crunchers which are one of my favourite Reese’s by-products. 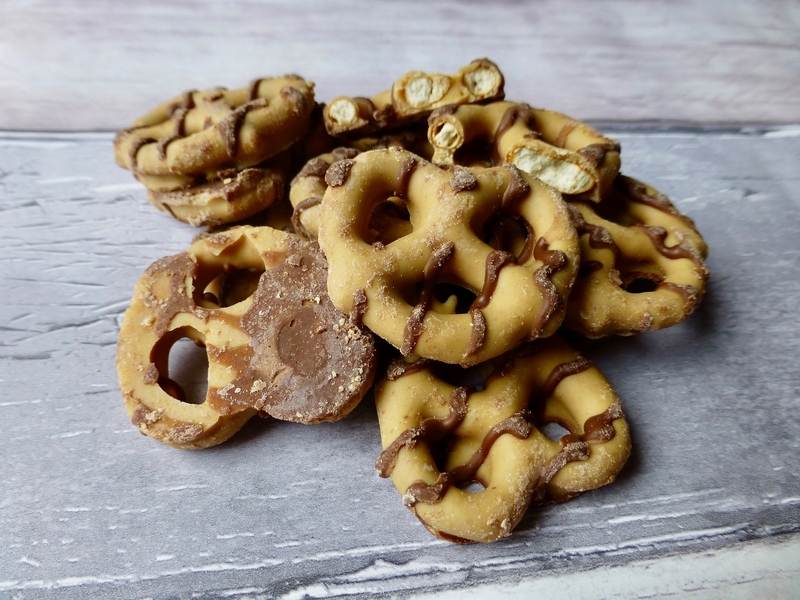 This time Reese’s have buddied up with Snyder’s of Hanover to give us pretzels dipped in creamy Reese’s peanut butter and if that’s not enough they have drizzled them with Hershey’s milk chocolate. Per 40g (7 pieces): 180 kcal, 7g sat fat, 13g sugar, 5g protein. It is a fact that salty and sweet are a match made in heaven and this is no exception. The pretzels are deliciously crunchy and salty and the peanut butter coating is sweet. The pretzels are the star of the show here and if you are expecting a similar taste to the inner of a Reese’s cup sadly you will be disappointed. I wished for these to be so much more peanut buttery than they actually were which is a real shame. 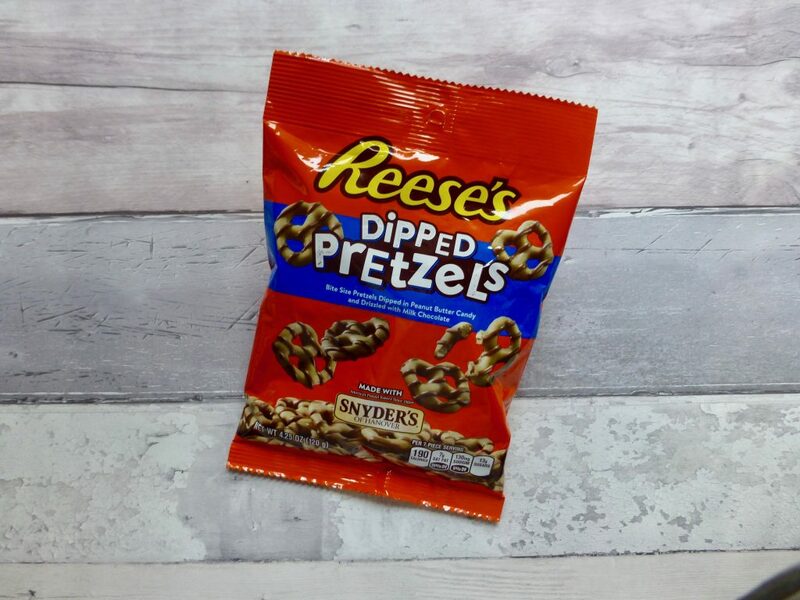 As a snack these Reese’s Dipped Pretzels are moreish and easy to devour the lot, they just need some peanut butter flavouring to them. 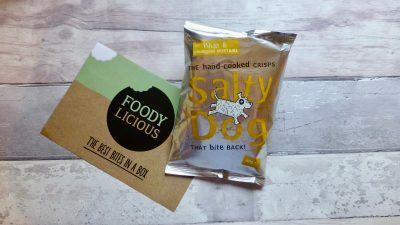 Have you tried these? What’s your favourite Reese’s product? 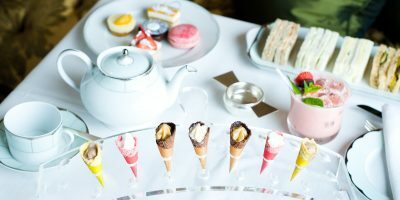 Previous Post A Spot of Afternoon Tea Anyone? How strong was the Hershey’s? I’ve found the milk bars of the stuff to be incredibly… well… awful. The ‘white’ based ones don’t seem as foul, but the Hershey’s presence is enough to put me off if it isn’t well masked by the peanut.